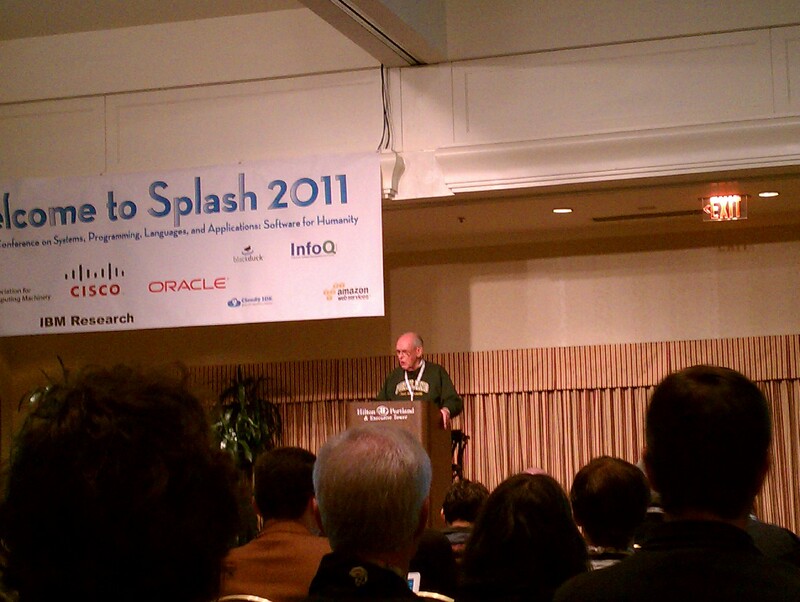 I returned from SPLASH 2011 in Portland tonight. I attended only the Educators’ Symposium on Monday and the first day of the conference proper, but it was worth it. And how could it not be, given that it was so close, in Portland, even though the still-new-for-me title “SPLASH — Systems, Programming, Languages and Applications: Software for Humanity” has something very hippy-like. I got to see Corky, Vivek and Vincent again, my doctoral advisor and two of my collaborators. I ran into a bunch of people I had met before, like Matthew Flatt, Eelco Visser, Michael Ernst, and Eugene Wallingford, but Igor Peshansky was one of the few people who seemed to recognize me as well. Thanks, and that’s just the way it goes for folks like me. Vivek and Vincent did a great job with our DrHJ demonstration. 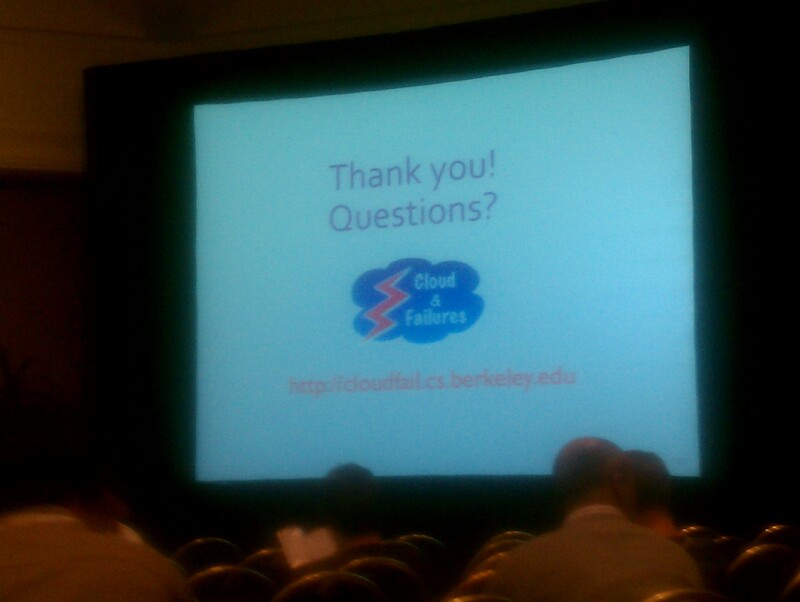 Of the other presentations that I watched, I think PREFAIL impressed me the most. That was really good work. 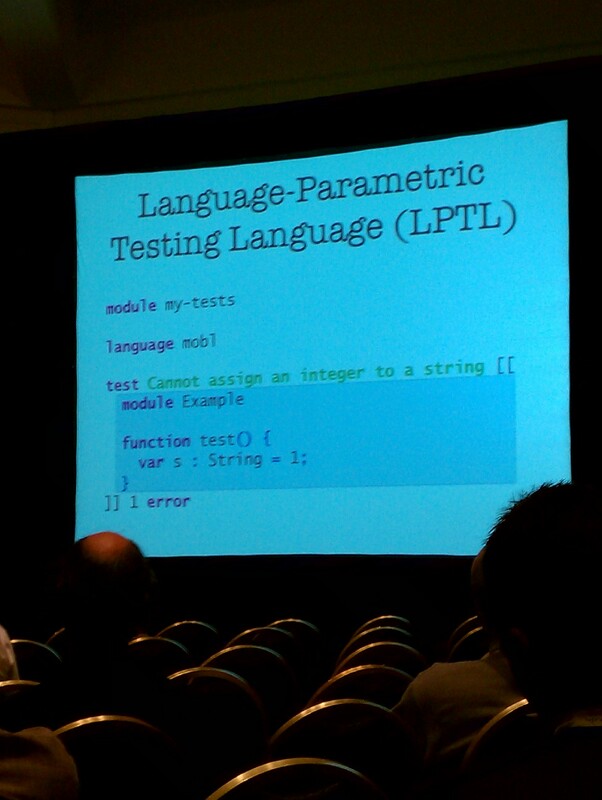 I liked the idea of the DSL to test languages and wish I’d had something like that for my work on Mint. 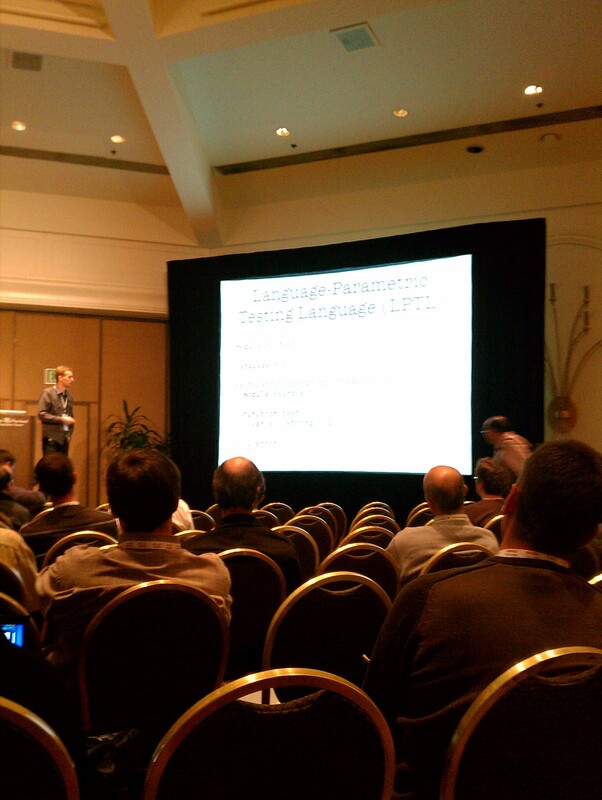 And Zef Hemel’s mobl language demo was just damn cool. I’m glad that I got to go, and I wish I had had more time, time to stay and be involved. I have more interests and responsibilities now, but I enjoy keeping in touch. 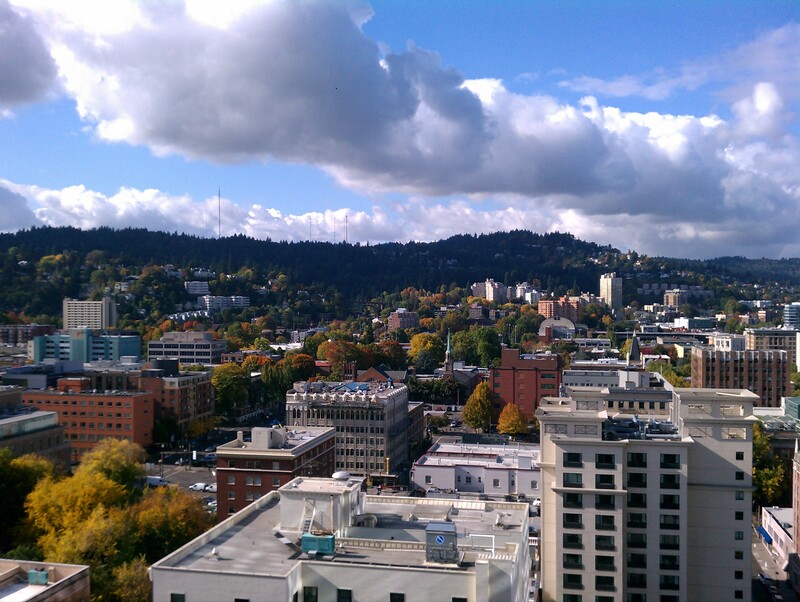 Portland from the top of the Hilton, where the Educators' Symposium was held. Turing Award-winner Ivan Sutherland speaking. 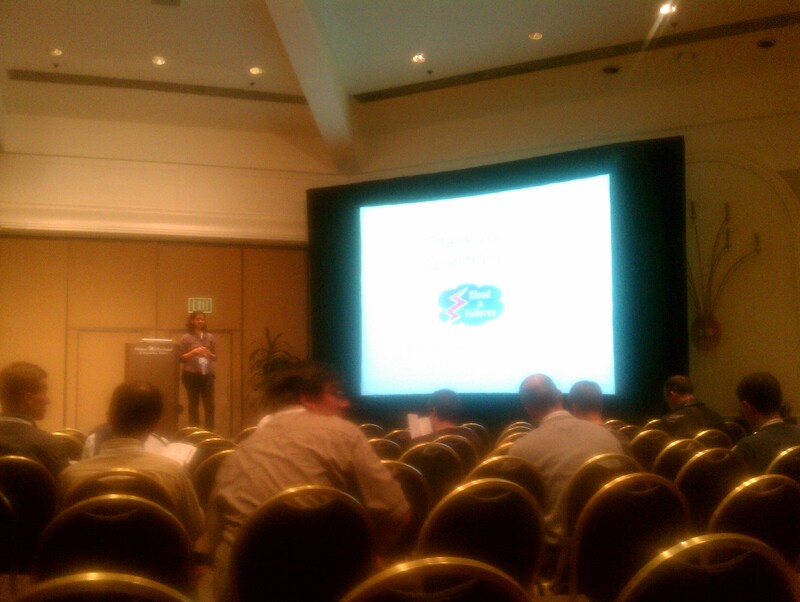 PREFAIL talk by Pallavi Joshi, UC Berkeley. Integrated Language Definition Testing, example slide.